How to watch The Ivory Game (2016) on Netflix Finland! 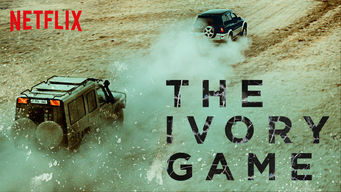 Yes, The Ivory Game is now available on Finnish Netflix. It arrived for online streaming on October 4, 2017. We'll keep checking Netflix Finland for The Ivory Game, and this page will be updated with any changes. Filmmakers infiltrate the corrupt global network of ivory trafficking, exposing poachers and dealers as African elephants edge closer to extinction. Conservationists. Investigators. Government officials. Risking their lives to end the senseless slaughter of elephants.